The Wrestling Federation of Singapore is honored to invite you to participate in The 4th Team Takedown Tournament (T3) on 15th May 2016. Wrestling has been popular throughout recorded history. Origins of the sport can be traced back 15,000 years to cave drawings in France. Early Egyptian and Babylonian reliefs depict wrestlers using most of the holds known to the present-day sport. In ancient Greece, wrestling occupied a prominent place in legend and literature; wrestling competition, brutal in many aspects, was the supreme contest of the Olympic Games. The ancient Romans borrowed heavily from Greek wrestling, but eliminated much of its brutality. During the Middle Ages, wrestling remained popular and enjoyed the patronage of many royal houses, including those of France, Japan, and England. In this day and age, wrestling has taken many different routes and evolved into many popular styles such as Japanese Sumo, Brazilian Jiujitsu, Submission Wrestling, Russian Sambo, Catch-as-catch-can wrestling and of course the modern Olympic styles of Judo and Freestyle and Greco-roman wrestling that are now practised by millions of people all over the world! 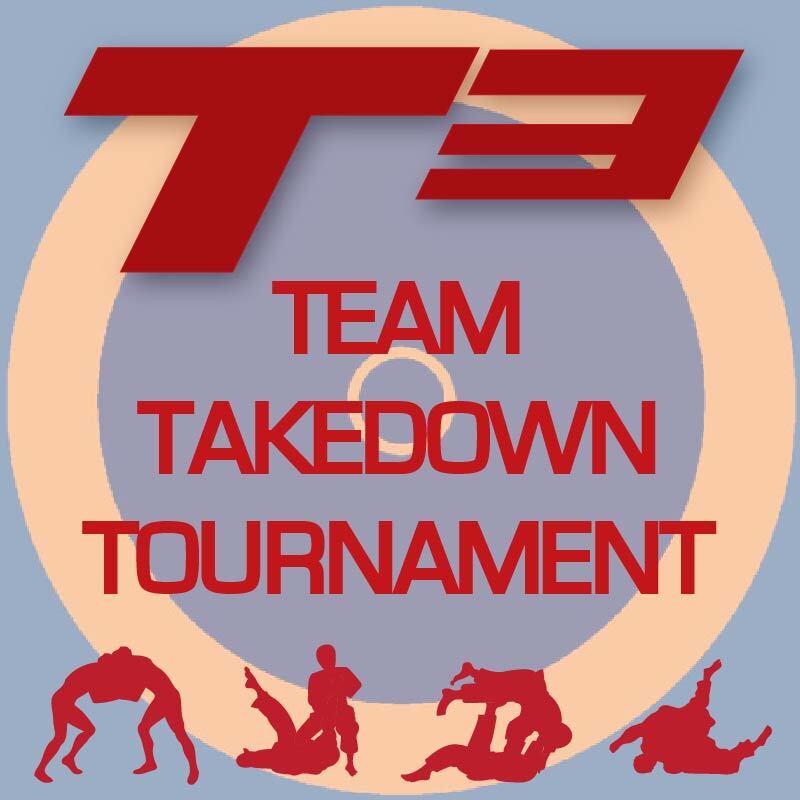 Our purpose for organizing T3 is to provide all grapplers from different styles, a common unbiased platform to compete with one another and, in the process make new friends and foster team spirit in a fun and exciting way! This team competition will be limited to 5 members per team in the following weight categories: 57, 65, 74, 86 and above 87kg and will be based on a modified set of rules from Freestyle wrestling, Beach wrestling as well as Judo. For simplicity sake, it will be done in its purest form of Takedowns and Pins only and will take place on an Olympic grade wrestling mat! Due to certain limitations, we will only be able to accommodate a maximum of 12 teams for this tournament, so hurry up and send in your team application forms before the stipulated deadline! See you on the mats! Those who are registering their team can ask your affiliate gym coaches for the discount code. There will be shirts for the registration of the first 6 teams so HURRY UP! 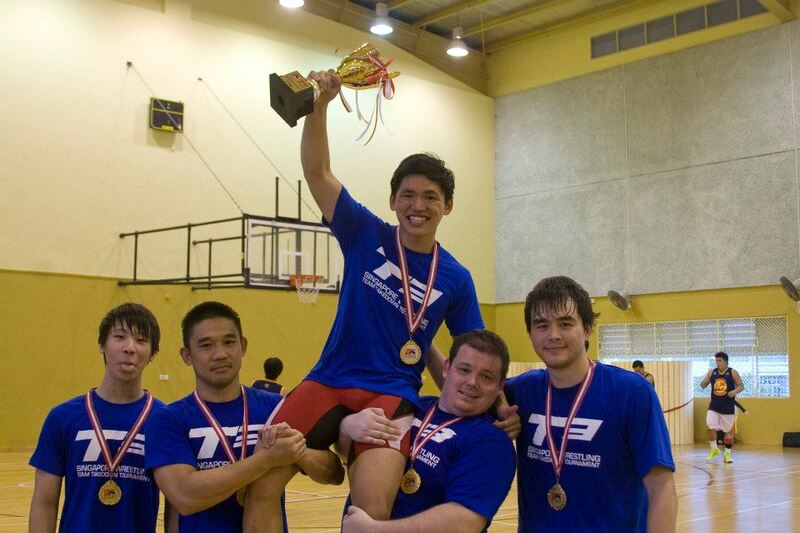 To find out more on how you can learn wrestling, E-mail us at info@singaporewrestling.com! 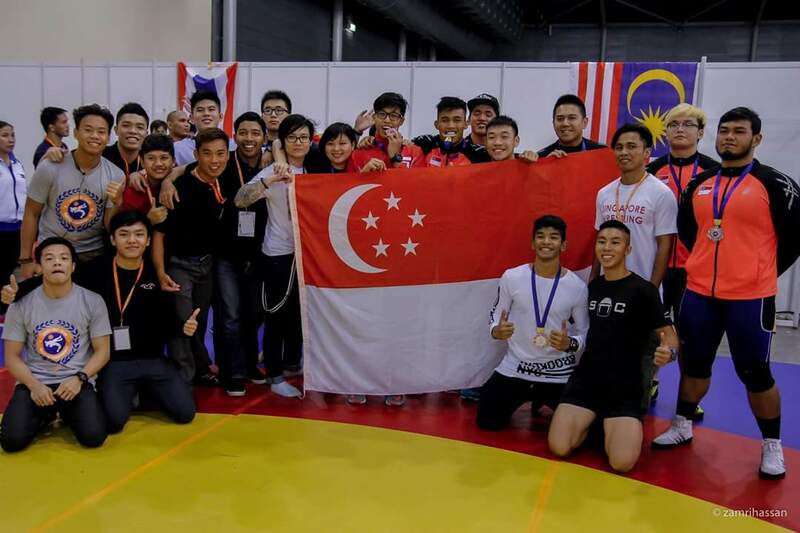 2019 Wrestling Federation of Singapore . All Rights Reserved.